Microsoft Silverlight is a free cross-browser, cross-platform browser plug-in for delivering the next generation of Microsoft .NET-based media experiences and rich interactive applications, for the Web, similar to Adobe Flash. 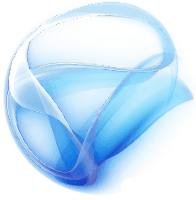 Silverlight is powered by the .NET framework and compatible with all major OS's plus all major browsers, including Firefox, Google Chrome, Safari, and yes, Internet Explorer. While early versions of Silverlight focused on streaming media, later versions supported multimedia, graphics, and animation and gave developers support for CLI languages and development tools. Silverlight is also one of the two application development platforms for Windows Phone, but web pages that use Silverlight cannot run on the Windows Phone or Windows Mobile versions of Internet Explorer, as there is no Silverlight plugin for Internet Explorer on those platforms. Silverlight 5 builds on the foundation of Silverlight 4 for building business applications and premium media experiences. Silverlight 5 introduces more than 40 new features, including dramatic video quality and performance improvements as well as features that improve developer productivity. Microsoft Silverlight (or simply Silverlight) is a deprecated application framework for writing and running rich Internet applications, similar to Adobe Flash. A plugin for Silverlight is available for some browsers. Silverlight was used to provide video streaming for the NBC coverage of the 2008 Summer Olympics in Beijing, the 2010 Winter Olympics in Vancouver, and the 2008 conventions for both major United States political parties. Silverlight was also used by Amazon Video and Netflix for their instant video streaming services, but Netflix said on its Tech Blog in 2013 that, since Microsoft had announced the end of life, they would be moving to HTML5 video. Microsoft announced the end of life of Silverlight 5 in 2012. In 2013, Microsoft announced that they had ceased development of Silverlight except for patches and bugfixes. Microsoft has set the support end date for Silverlight 5 to be October 2021. Silverlight is no longer supported in Google Chrome since September 2015, and in Firefox since March 2017. Since Microsoft Edge does not support plugins, it also does not support Silverlight. Disclaimer: Direct downloads for the lastest version of Microsoft Silverlight 5.1.50907.0 are provided by the official software's author, we can't guarantee safety, availability or download speed. Moreover, we don't and we won't provide any pirated/illegal versions or tools. We recommend you to avoid it as these methods can harm your device. If you like the software, buy it to support the developers. (We provide software discounts for many worldwide brands).